This style is great for an inner city wedding with urban textures with a hint of luxury. What makes the Urban Industrial look? This style is fast becoming a popular choice for a relaxed but ‘cool’ inner city wedding. Think large industrial buildings, exposed brick walls, long wooden tables without tablecloths. There are a number of beautiful wedding venues popping up with cater to this rustic yet refined style which make a perfect backdrop to these styling elements. Urban industrial is all about texture. Think concrete, wood and brick. Any colour can be integrated but try and keep it to something natural to create that ‘not even trying’ style. 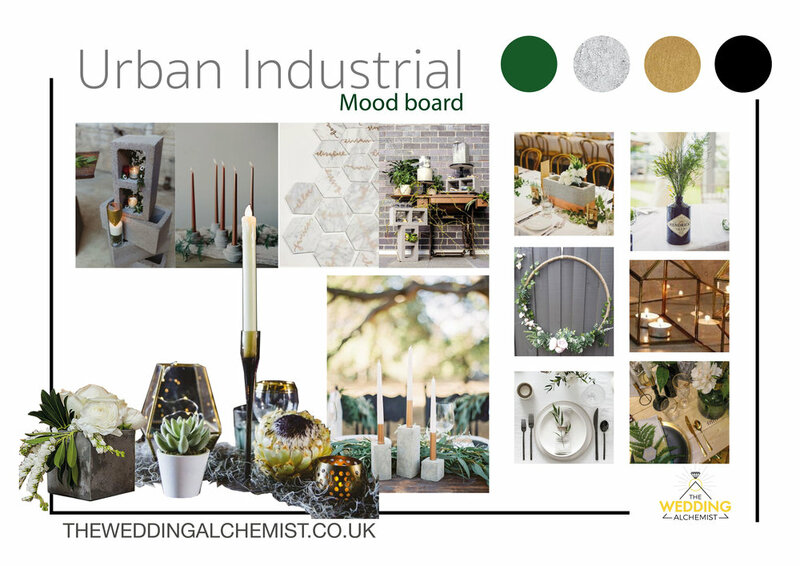 How to get the Urban Industrial look for your wedding? Head to B and Q, stock up on concrete blocks and think about greenery or succulents rather than perfectly arranged flowers. The little details are really what helps these rough surfaces soften and add a touch of luxury. Think either gold or black cutlery, some beautiful hand blown glass vases, dyed napkins, or some extra special glassware will make the look refined and deliberate. Make sure to include some subtle fairy light for when the night sets in to help create more intimacy in what are usually quite large, open plan urban spaces. Simple, but effective. 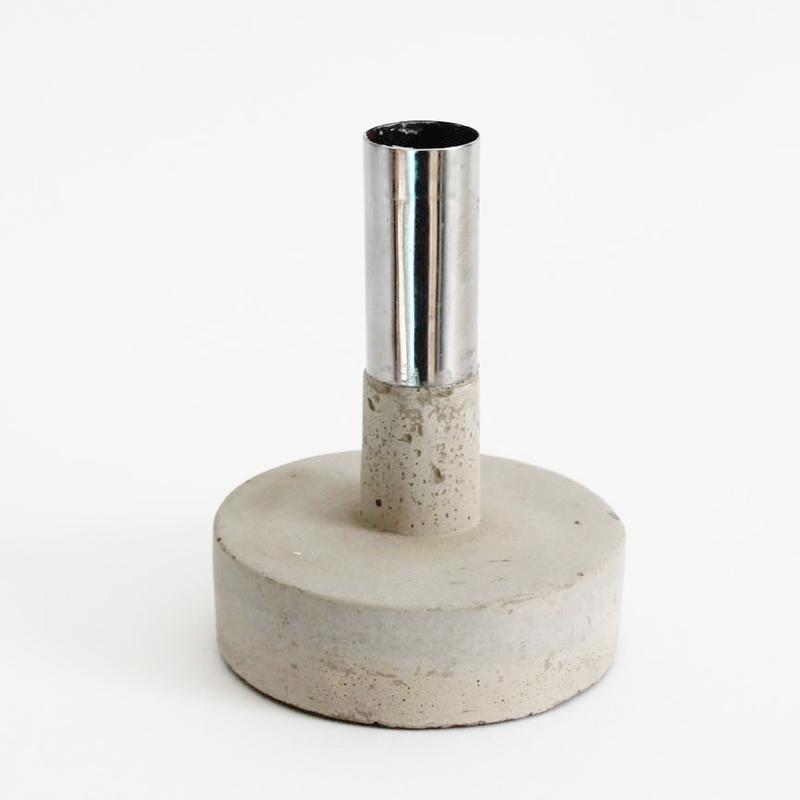 Dot these around a greenery runner, they will help link with any concrete elements of the space. Always a great touch for your guests and to make your tables look great. Hand dyed or plain, keep the fabric natural like a linen for a more relaxed look. 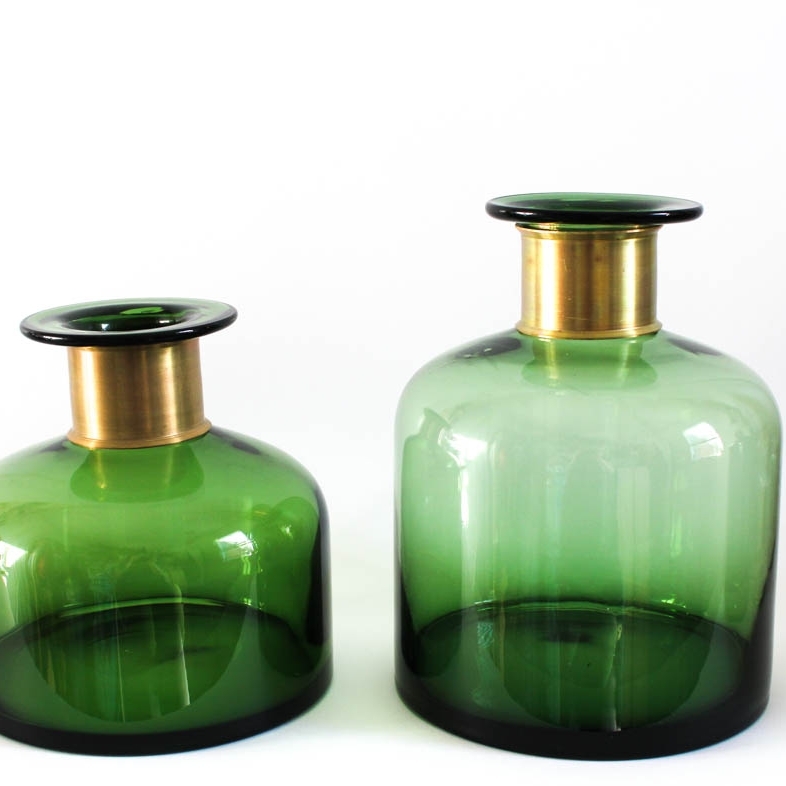 The more handblown and irregular the better. Keep to natural colours or clear to add more greenery to your tables. Another overlooked detail but well worth the extra investment. These contemporary shaped glasses with the gold rim create interest whilst keeping things simple. 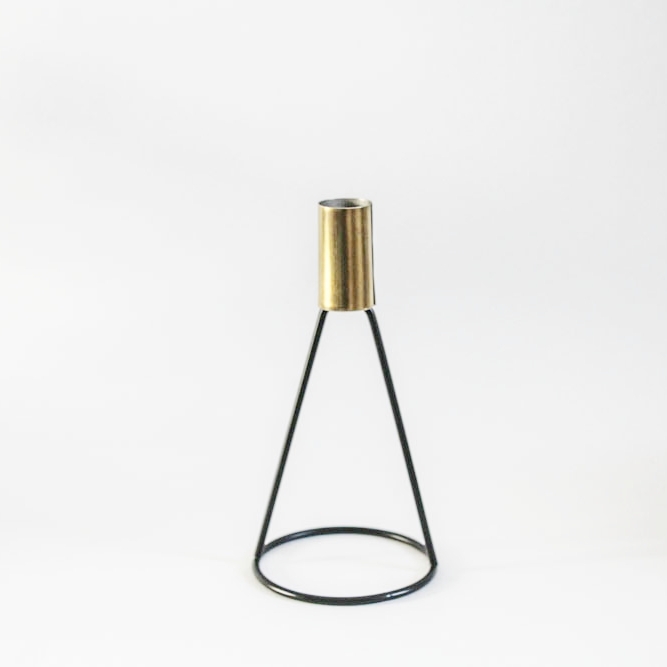 Some people can be frightened by black, but paired with gold this adds a luxe touch to the rougher materials of an industrial space. The candles are great when the night draws in too. A great alternative to flowers, keep them green and natural or think about more vibrant varieties to add a pop of colour. A simpler version than those on the left, a more subtle but effective options to add candlelight to your space. Click on the button below for more images of Urban Industrial wedding design as curated by The Wedding Alchemist. Love this look? Get in touch about styling or hire to create your perfect urban industrial day by filling out the form below.